Shelburne Golf & Country Club is owned and operated by Sam Young, a member of the Professional Golfer’s Association of Canada since 1961. 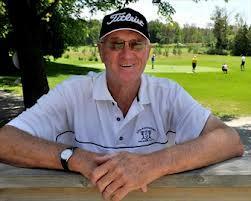 Sam served on the board of the Ontario PGA from 1973 – 1984 and on the board of the Canadian PGA from 1974 – 1990. He has served a president of both associations. Sam had an extensive playing career in the sixties and seventies and has turned his playing and learning experience into the successful teaching method he uses today. 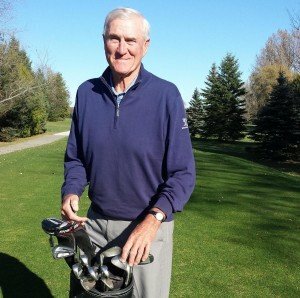 He has introduced thousands of golfers to the game and has taught at every level, including a number of years with the Ontario Ladies’ and Men’s Junior Advanced Instructional Camps. After receiving the 1986 Ontario and the 1989 Canadian Professional Golfers’ Association and Score Magazine’s Club Professional of the Year Award, Sam used his years of experience to design and build a new nine holes and renovate the existing nine holes to fashion an exciting, well-conditioned and challenging eighteen-hole layout. In 1998, he designed and built a premier driving range and practice facility to complement the new 18-hole course. Sam continues to enhance the course by providing greater challenges for today’s longer hitters and improving the overall condition and playability of the course. In 2002 and again in 2003, Sam received the Ontario PGA Teacher of the Year Award for Junior Golfers and in 2002 the Canadian PGA awarded Sam the Canadian Junior Leader of the Year Award. In 2010 Sam was named a GAO High Performance Team Ontario Coach. Book a lesson with Sam and play at the club with the Professional’s touch. In the 50 years of my playing and teaching career, I have garnered many ideas from the leading teachers from around the world, along with the intensive training I received from my mentors, which has helped me to develop my own straightforward, efficient and successful method of teaching the golf swing. I have found that those who have learned and practiced the proper fundamentals of the golf swing, and are taught the basics of course management, generally have the most enjoyment on the golf course over the long-term. Whether you are five years old or 75 or anywhere in between, you can learn to swing a golf club and learn to play an enjoyable game of golf. Each year, I teach 80 Juniors and 60 adults on a season-long basis as I have found that the quick fix method rarely helps the recreational golfer unless he/she is already a low handicap golfer. Along with teaching the technical aspects of the swing, the physical, nutritional and mental aspects of the game are a high priority in my teaching philosophy. If you want to get the most out your game sign up for one of our season long programs for adults or register your children or grandchildren in one of our Junior Camps or Junior Membership Programs. Check out Sam’s thoughts on improving your game. Begin to learn a healthy game – a game that will intrigue you for the rest of your life.